This April, VMDO Networking Breakfasts hosted Chris Carey, Founder and CEO of leading boutique research company, Media Insight Consulting. Chris specialises in data analysis, consumer insight and strategy consulting, with a client list including leading music companies such as Sony Music, Spotify and The O2 Arena in London. Chris founded the FastForward music conference that takes place in Amsterdam, London and Sydney. Today, the music industry has a greater appreciation of the value of data, and how it can influence decision making. However, it’s important to know that data doesn’t have answers if you don’t have questions. But if you have questions, data can take you places that you couldn’t have found yourself and provide answers otherwise impossible to know. However, data can be used incorrectly by well-meaning people, and it’s important not to see data analysis as a crystal ball. It is alright to ignore data sometimes; there are some decisions data should not make. Data is a follower, not a leader. It looks at itself and makes predictions based on the past. You sometimes need a person to bring in what data can’t see. Data can’t identity the raw potential in an artist that a person could. There is such a wealth of data available pertaining to the music industry, but for the same reason that the algorithm recommends what it knows, a purely data driven approach to curating music is incomplete, it’s unlikely to produce super remarkable music, and the music industry should be aiming for exceptional. It’s hard for music companies to take a holistic view of the music when focusing on data. There is a lot of nuance to the music industry that cannot be quantified. For instance, if a band doesn’t have many likes on Facebook, that does not mean it’s not a good band, though data instead would see a band that may have no social media likes and assume it’s not a good band. Social media likes isn’t the best projector for a young band. b. How intuitive is data to marginalised groups? If we take averages more often than not, we marginalise. Representation is a concern when it comes to auto generalised playlists. It’s important to have representation in all aspects of the music industry, but data does pose a risk to representation of marginalised groups. A person's status cannot be quantified in data. Say you have a roster that has five distinct groups, if instead of comparing those to an average, you compare them to the average of each other, you get much more meaningful insight because it’s not clouded by other, less relevant things. An educated professional needs to be employed to discover nuance in numbers, as it is very difficult to do clearly. Technology is a disruptor in music, but it’s par for the course. There’s good and bad disruption. Selling something valuable too cheap isn’t good disruption. There’s disruption that brings value, for example. streaming, and its effect on piracy. It’s a disruptor with a long term plan to improve the music industry. But sometimes we put disruptors on a pedestal, not all technology is appropriate to apply to the music industry. When adapting to new technology, music industry professionals must consider algorithms. Chris Carey is concerned that playlist algorithms could be a huge problem for artist development. Playlist creating algorithms look back to predict future behaviour. They are very good at predicting what should’ve happened yesterday, they’re not so good at predicting what should happen tomorrow. The essence of that decision is very historic, because they look at people like you, and in terms of encouraging you to branch out, algorithms will recommend what others like. It can bring really interesting music, but the incentive for a streaming service is to keep you inside their environment. So there's a worry that because consumers have high expectations for recommendations that music can easily be forced to the middle of the road. Algorithms tend to make you more like everybody else. And if music is not one of the most exciting things going on in the world, how can the industry compete with YouTubers and Netflix? The value of a risk-taking playlist filled with songs a listener may hate, but one song they completely love, cannot be underestimated. Playlists should also be a place where one can discover something exceptional. Playlists are much like Tinder. Before a listener can engage further with one artist, there’s something new and shiny being shown off, making it harder to have a deep relationship with an artist. And you need that depth to maximise your streaming revenue, from tickets to vinyls. As AI becomes increasingly commonplace in the music industry, the risk is that it’s pushing towards playlist friendly music for background noise. And though there’s nothing wrong with background noise, there needs to be more variety, and that requires a human element. AI works much like playlist algorithms, calculating what is popular and moving forward from there. With this in mind, Carey is confident that AI won’t be driving the next hit song. If being like everyone else is the objective of a record label, Carey asks, what are we doing? Though Carey is quick to say he’s not a coder, and his technological prowess may be lacking, he also is confident that Blockchain is an inefficient database compared to a regular one. Trying to be balanced and not cynical, he does not anticipate meaningful change coming from Blockchain for a long while for the music industry. The music industry needs to sort out it’s metadata first. Just because technology has worked in other areas, doesn’t mean it's appropriate to apply to the music industry. However it is a positive that the industry is looking to the outside and seeking for technologies to make the industry the best it can be. 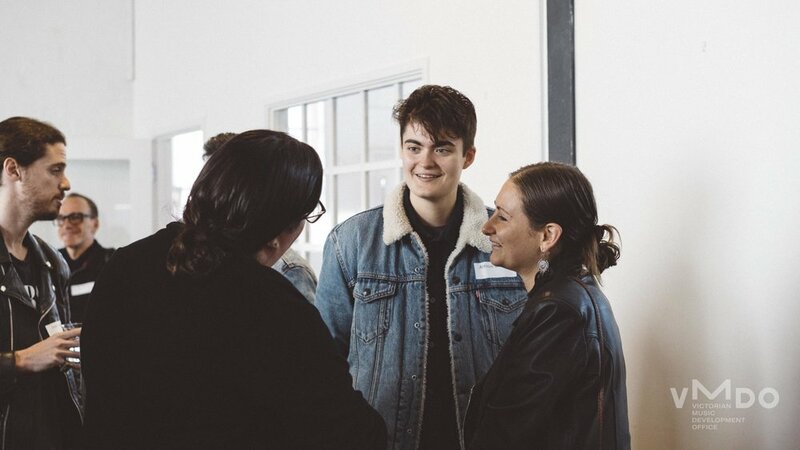 Carey will be working with the VMDO over the coming months to facilitate a Consumer Research Project, gathering data from across Australia, which will focus on music discovery habits. The study will analyse the format music listeners choose to purchase, whether it’s records or CDs, across genre, and demographic. The study will take a look a ticket sales, concert purchasing behaviours towards VIP bundles, merchandise, attitudes towards music etc. 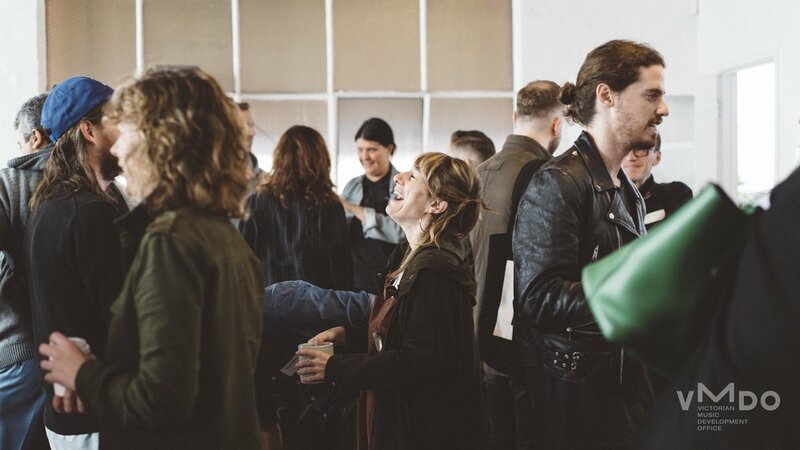 This study will empower Victorian music industry professionals to better know their world, market, bands, in a way they cannot without this study. The study will help music industry professionals understand, not so much about predicting the future, but where the opportunities are that are not being noticed or made use of currently. Currently some information is available to big businesses, but the data set to be curated over the coming months will be available to everyone in Victoria, through signing up with the VMDO. Carey is excited about the research, as it will it provides a holistic view of the consumer in the way that Spotify doesn’t. Music industry professionals can use the study to see consumers as individuals, separate to their behaviour. In the biggest picture, Carey says his forecasting comes down to one fact: if he can understand yesterday in complete detail, he can predict the future. At the moment, his view on the present is incomplete, so it’s not ideal for future gazing. This study will allow a better view of the present as to better forecast trends in Victoria’s music industry. Chris Carey’s work with the VMDO will not serve as a crystal ball, but it will help music industry professionals understand where Victoria’s music industry is currently, and that’s a big step forward. Though looking to the future and innovation is always a good thing, it’s equally important to stay present and focus on the now.